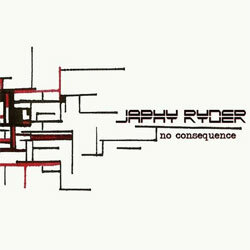 On Japhy Ryder's second release‚ No Consequence‚ you hear an instrumental band that is learning to cut the fat and make a musical statement. Drawing from a wide range of sound and style‚ there's a lot of deliberation in these compositions. They're definitely thinking-confidently-about texture‚ space and most importantly‚ mood. Impressively‚ they touch on being playful‚ introspective and aggressive equally well. There are a few young moments that linger‚ falling into the "Hey‚ look what we can do" type of playing‚ which isn't necessarily bad. But perhaps this is best left for the energy and exploration of a live performance‚ because on the album it doesn't say much. Also‚ there are occasional changes that feel like their only purpose is because the tune needed a change. The only reason these shortcomings stand out is because so much of No Consequence shows the strong evolution of a group of smart musicians finding their voice. There's an abundance of passages that sound cinematic‚ as on the title track; besides painting a scene in your head‚ the playing here is something you don't want to forget. Likewise‚ on "Johnny Don't" they understand how to tippy-toe‚ dance and be sparse over a rock-solid foundation. Trumpets swell in and out‚ the guitar reacts‚ and the spaciousness they create is deep. This type of playing sounds like it could land on a Broken Social Scene album as easily as a score that Bill Frisell would play on. By the end of the album you realize how much these guys are thinking about being lyrical; they're really close to finding something with this sound that everyone can dig on.